If you love woodland themes for decorating this log slice pouf tutorial is perfect for you! These pouf looks great in a child's reading corner, or even slid underneath your coffee table for extra toddler seating. 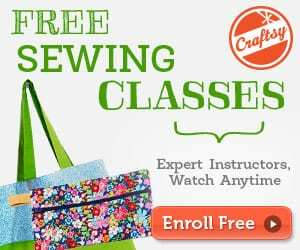 The tutorial features two poufs, one with a squirrel applique and one with hand-stitched “tree rings”. 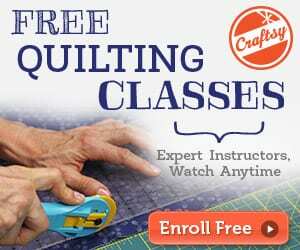 The squirrel applique template is included in the pattern and the tree rings are hand stitched. You can use a removable marking pen or chalk to sketch your lines out first if you'd prefer! 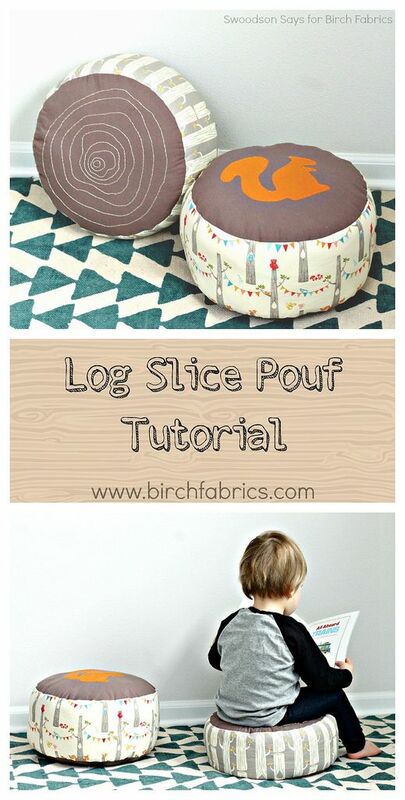 Here's the Log slice pouf tutorial.